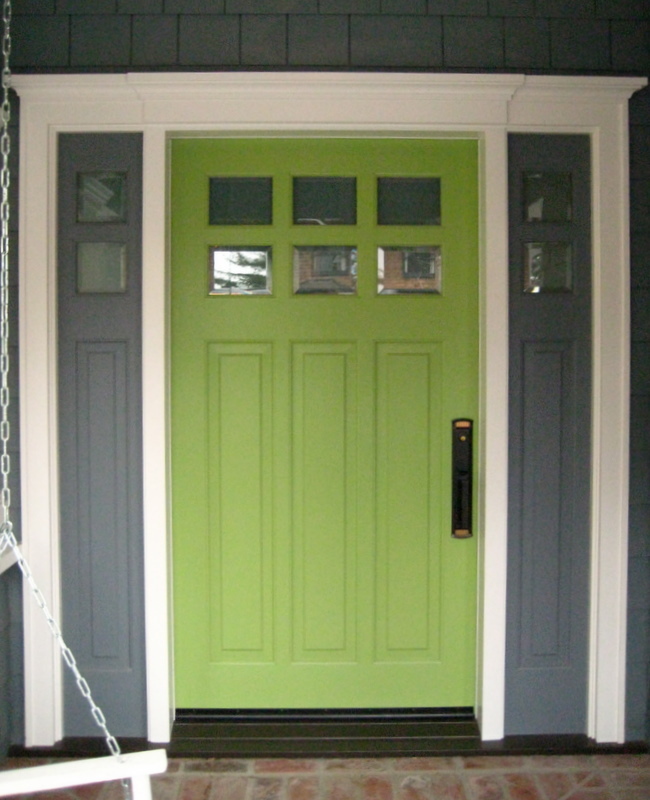 Gorgeous colours on the door and surround. I just bought Wickham Gray last week ( 1 gallon) and looked on here SPECIFICALLY to see what color the playroom was! Yea!!! Hope that means I will like it once it finally makes it on the walls! Thanks so much for sharing your paint colors, Shiloe! I've painted my interior walls and ceilings the same color as well and I really like the way it makes the white woodwork pop. Nice choice of colours, good job. Your paint work here is just beautiful! 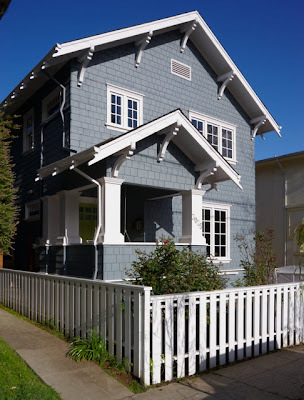 I'm in Oakland as well and love the older style Victorians and such. You really bring them back to life. 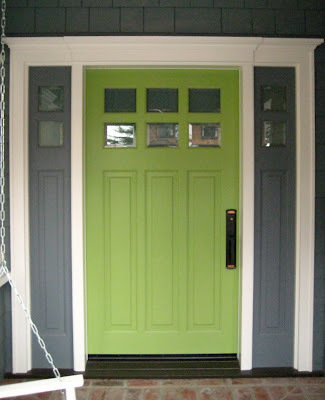 i OFFICIALLY want a green front door.. TOOOOO cute! 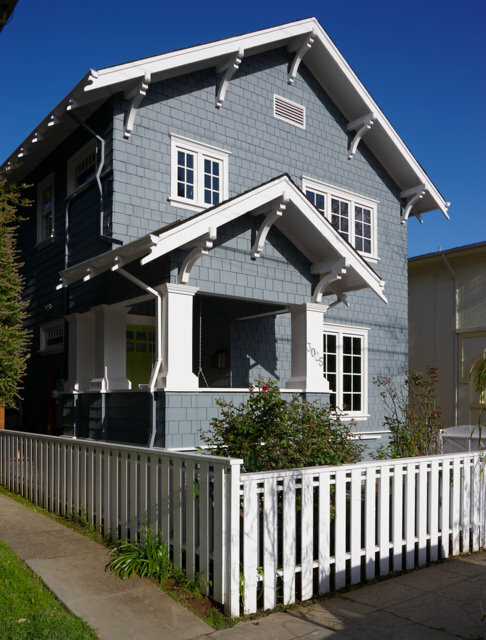 I love all the colors in your house (and must have similar taste because I often end up at this post when I'm searching for info about a particular color, in this case Arctic Gray), but your exterior colors make me swoon. I'd do all of that in a heartbeat, especially the front door. Seems to me that the white wall and ceiling gives nice effect inside the house. It's gives beauty and neatness on the house. Hello! 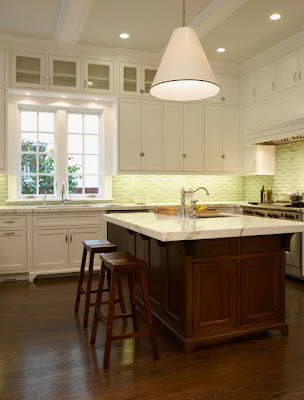 I'm new to your blog, and this house is beautiful! Thanks for sharing the paint colors, too. SO sweet and well decorated house. I like the color and decoration. very clean decoration and well furnished. What color is your door? I may just copy! I just want to tell you how much I love your blog and how extremely helpful it has been for me! We are turning a cute cottage into a two story home (just north of Seattle in an adorable coastal town) with a lot of the same features here. Thanks so much for being detailed with your information, color choices, etc. Beautiful job! Wow! I really like your exterior design with the shingles, paint color, and all! I haven't thought that a lemon green door looks great against that kind of blue. Great work! Thanks for sharing such a amazing post. Fabulous. Keep it up. The child's room is definitely Wickham Gray. We thought it looked dark too until the furniture went in. Good luck with your project! I saw you in a magazine and loved it! Can you please tell me what color was used on the panels to the left and right of the door (with the little window at the top? The blue/gray color? Many thanks! The sidelites were color matched to the Hardie Shingles. Another reader who was not using Hardie, but want to get the exact color, ordered a sample of their shingles from their website, then took the paint sample to her local paint store for a color match. Great solution! Assuming you refinished the floors or laid new floors (white oak?) can you tell me what stain color and brand you used? And what sealant? Thanks. I'm back again since we are now at the picking out paint stage of our build! I LOVE the painting the ceiling the same color as the walls technique and I'm surprised by how many people scoff at me when I bring it up. 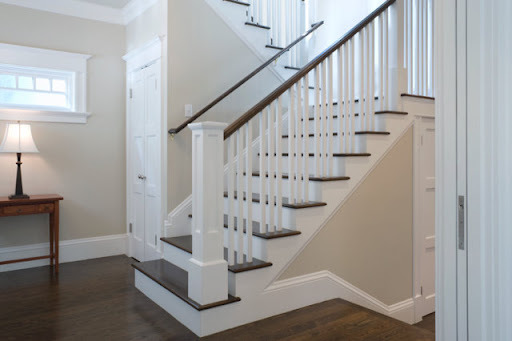 To save money, we are not putting crown moulding in every room and I'm wondering if you think this technique works just as well without crown. Did you use it in bathrooms, closets, etc.? Thanks so much! A dreamy atmosphere is present in every single room I think. Nice sharing at all. Lovely decoration and also the color of the paints. The door has to be my favorite part for sure. Awesome! A nice sharing for me as i am always impressed to see any dreamy house picture. Wow nice design. really i appreciate it. What a gorgeous, gorgeous home! Home is always awesome this hope is very beautiful. The painting suggestion can be awesome if color adjustment can be done properly according to the setting.